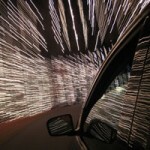 Despite being the most wonderful time of the year, the holidays can also be rather stressful. With cookies to bake, trees to trim, gifts to purchase and wrap, friends and family to visit, and much more, it can sometimes seem as though there aren’t enough hours in the day! This holiday season, consider taking a break to relax and recentre by attending a festive yoga class. Besides getting some much needed exercise, you should also feel more mindful, tranquil, and composed after participating in one of the classes I’ve highlighted below. YogiWino’s event this Thursday is part yoga class, part holiday market, part party! 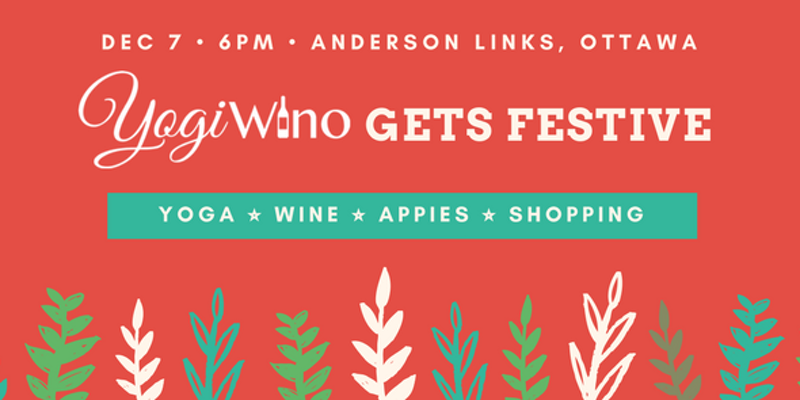 After an hour-long yoga session, you can sip on local wine and enjoy appetizers while you peruse the wares from some of YogiWino’s favourite Ottawa vendors and artists—all while listening to live Christmas music. They will also be accepting donations for the local food bank, and anyone who makes a donation will be entered into a drawing for a prize from Busy Bees Home Organizing. Atlantans can head half an hour southwest to attend Holiday Presence: A Restorative Offering in Newnan, GA. This workshop focuses on self care during the busy holiday season. Calm your nervous system in a gentle 75-minute restorative yoga session. Afterwards, make a custom holiday aromatherapy blend in a roller, dropper, or spray that will help keep you relaxed all the way to Christmas. Then learn about healthy holiday snacks from Chef Nichole Langford, try some tasty samples, and take home some recipe cards. Yoga… and goats? Yep, that’s right! De-stress by doing yoga on a farm while baby goats cozy up next to you, climb on your back, or simply make you smile. What’s more, the goats will be in festive costumes, and the farm will be decorated for the holidays. This would be a fabulous event for the entire family. Goat Yoga Nashville is hosting 10 more events between now and Christmas, so you can find one that fits your schedule. Naaa…maste! See here for other dates & times. 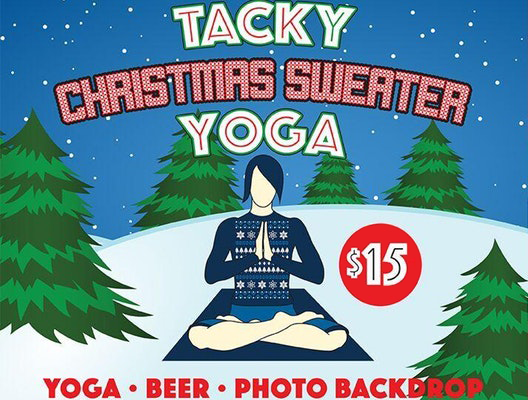 Wear your tackiest holiday sweater and hop on your mat with the Arlington Yoga Centre for an all-levels session. After class enjoy a pint of beer—perhaps the brewery’s own Legal Holiday Ale. If that weren’t enough, they will also be giving out a prize for the best sweater, have a backdrop for snapping some photos, and be accepting donations for Toys for Tots. If you live in London, Christmas Yoga, Cocktails & Canapés would be a fun festive activity to partake in with your friends. Start the evening with a power yoga class; you will be lead through a dynamic flow that is suitable for all levels while listening to Christmas tunes. 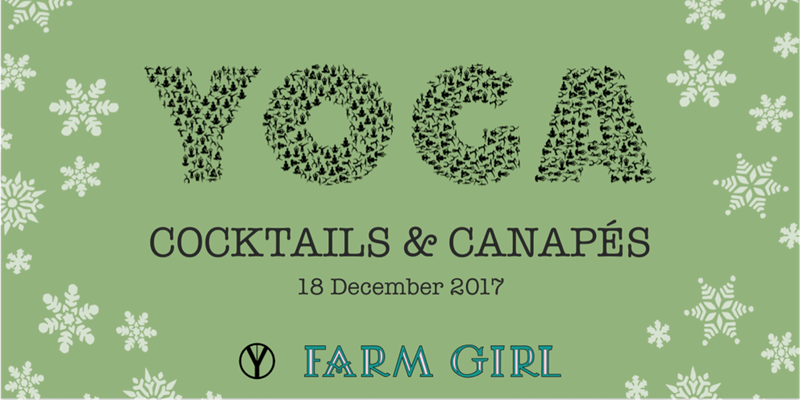 After the session, join your classmates for a private cocktails and canapés party at Farm Girl. Pre-booking is essential, so make sure to buy your tickets today. While I would love to feature loads more holiday yoga classes, I have to get back to my other elfy duties. But, since I really just can’t help myself, after the jump you’ll find info on a handful more yoga workshops happening this month. 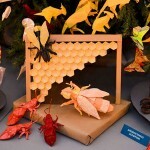 Does your local yoga studio host a special event for the holidays? Or do you practise yoga at home to relax? Let me know in the comments!